Annual performance reviews are obsolete. 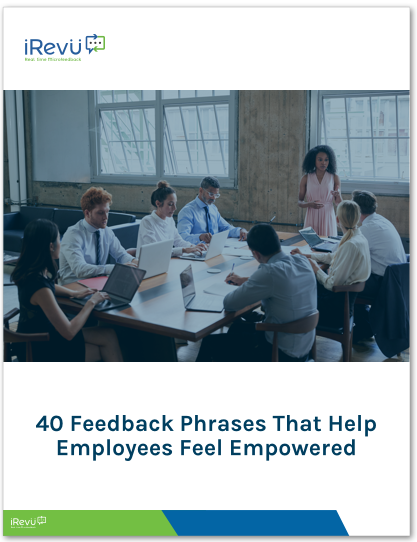 Help your employees get the most out of the continuous feedback they need with these 40 empowering example phrases. Everyone wants to feel important to their workplace. Positive reinforcement helps employees feel valued by the company. Employees need goals to work toward – give them constructive feedback in the form of goals to push their limits and improve their abilities. Establishing an inclusive point of view opens the feedback up to conversation. Creating this kind of dialogue promotes a cohesive workplace.